Black people in Seattle face longer wait times for Uber and Lyft rides than white customers, according to a study done in part by University of Washington researchers. Black people in Seattle using Uber and Lyft faced noticeably longer wait times than white customers did to get paired with drivers. Uber drivers in Boston canceled rides for men with black-sounding names more than twice as often as for other men. Those findings come from a study published Monday by researchers at the University of Washington, Massachusetts Institute of Technology and Stanford University. A new generation of technology companies has begun to grapple with how they can minimize racial discrimination. After studying racial bias on its site, Airbnb recently released an extensive report and proposed some changes to its policies. The home-rental company committed to offering more training for its hosts and hiring a more diverse workforce. It sent emails to customers over the weekend saying they must agree not to discriminate to use the site. However, Airbnb has resisted advocates’ calls to remove photos of guests and hosts from its platform. The study, conducted in Seattle and Boston, included almost 1,500 rides. Four black and four white research assistants — split evenly among men and women — ordered cars over six weeks in Seattle. All used their photos on the ride-hailing apps. A second test was held in Boston with riders “whose appearance allowed them to plausibly travel as a passenger of either race,” although they used either “African-American sounding” or “white sounding” names, the researchers said. The study found that Uber drivers disproportionately canceled on riders with black-sounding names, even though the company penalizes drivers who cancel frequently. “Ride-sharing apps are changing a transportation status quo that has been unequal for generations, making it easier and more affordable for people to get around,” Rachel Holt, Uber’s head of North American operations, said in an emailed statement. “Discrimination has no place in society and no place on Uber. 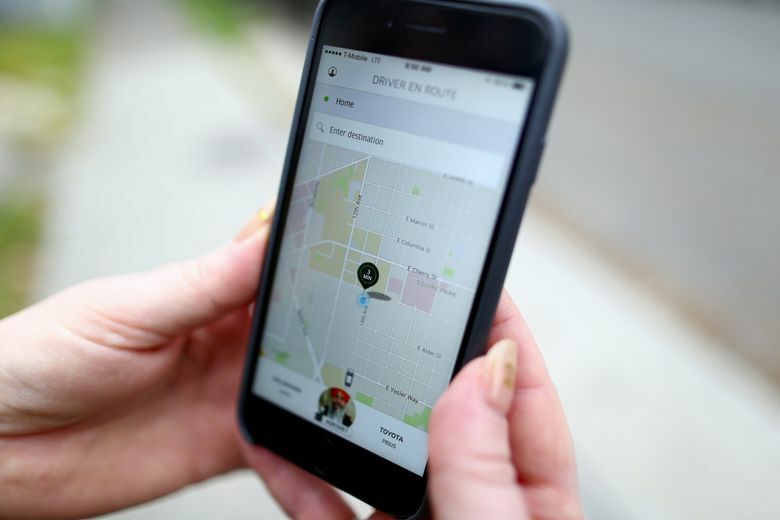 We believe Uber is helping reduce transportation inequities across the board, but studies like this one are helpful in thinking about how we can do even more,” Holt said. The research also observed discrimination in the taxi industry — a well-known, decades-old issue. The paper doesn’t compare the rate of discrimination between traditional drivers for taxis or ride-hailing apps. Uber has suggested that it doesn’t offer tips in its app, as many drivers have asked for, because they can introduce racial biases. Lyft and Uber face different issues. While researchers found that drivers took noticeably longer to accept ride requests from black men on both services in Seattle, total wait times were the same for both races on Lyft. On Uber, total wait times were longer for black men. Drivers using Lyft didn’t cancel on black riders disproportionately, but the researchers said that because Lyft shows riders’ names and faces upfront, its drivers could simply screen out black passengers. Uber doesn’t show names until after the driver accepts the fare. “In Lyft, you can discriminate without ever having to accept and hit cancel,” Knittel said. The researchers proposed changes that Uber and Lyft could make to reduce discrimination, including not giving out passengers’ names, more severe repercussions for drivers who cancel after accepting a ride, and periodic reviews of drivers’ behavior to look for racism. However, Knittel acknowledged in an interview that there are advantages to providing personal information, such as creating a friendlier and more efficient experience. While conducting the study, researchers also observed that women were sometimes taken on significantly longer rides than men. “Other female riders reported ‘chatty’ drivers who drove extremely long routes, on some occasions, even driving through the same intersection multiple times. As a result, the additional travel that female riders are exposed to appears to be a combination of profiteering and flirting to a captive audience,” the researchers wrote. The paper floats a possible solution to that problem: upfront fares — something Uber has already begun to roll out. The authors of the study, along with Knittel, were Don MacKenzie, an assistant professor at the UW; Yanbo Ge, a UW doctoral student; and Stephen Zoepf, executive director of the Center for Automotive Research at Stanford.